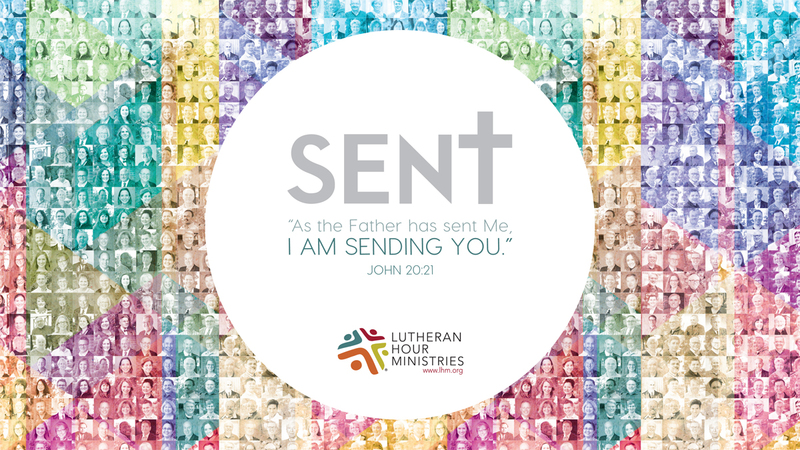 Lutheran Hour Ministries created the SENT Initiative as an expansive, holistic, multi-layered plan to answer the pressing challenges and realities of sharing the Gospel in the 21st century. God has shown us that He can do far more through people like you and me than we could ever imagine—if we only allow ourselves to go where He is sending us. SENT was quietly launched in January 2015 with a five-year goal to reach 108 million people each week with the Gospel by the year 2020. When SENT began in 2015, the average weekly reach was 51 million people. 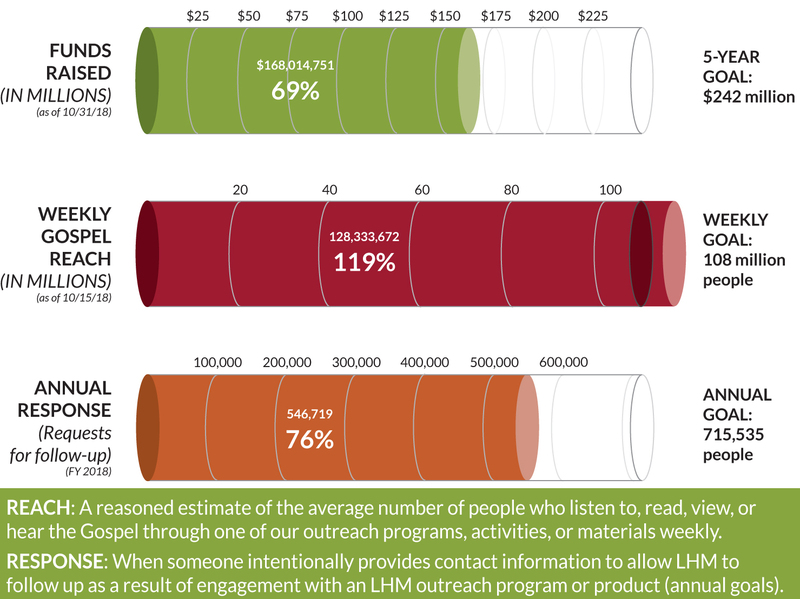 It is with gratitude to God, and deep appreciation to the multitude of people who have supported this effort, that LHM announces this goal has been met and exceeded—today reaching 128,333,672 people each week with the Gospel!! This is 119% of the original goal set in 2015. While we rejoice that this goal has already been surpassed, the work of SENT is not over. There is still much work to be done—billions of people around the world live without the hope of Christ. The challenges of a declining church membership and the hesitancy of many believers to share their faith continues. LHM's mission of Bringing Christ to the Nations—and the Nations to the Church is more relevant now than ever before. LHM will not rest until every person has the opportunity to hear the Gospel in an understandable way. It is with this vision in mind that we have increased our 2020 goal for weekly reach to 137,000,096. The thermometers in conjunction with this article show SENT's progress not only for reach, but for response and funding as well.